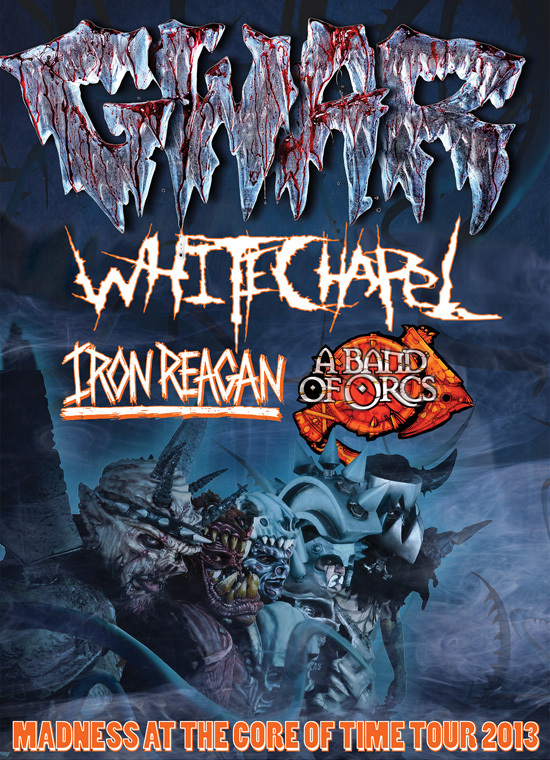 Masters of medieval metal, the mighty GWAR, are poised to return to the world of man as today they announced the first leg of their massive “Madness at the Core of Time” world tour, in support of their new album, Battle Maximus, which is out September 17th on Metal Blade Records. The tour, which features a completely brand-new show full of slavering creatures and deserving victims, is set to kick off October 2nd in Columbus, Ohio and runs through November 17th in Washington, DC. Tickets go on sale this Friday, August 2nd.